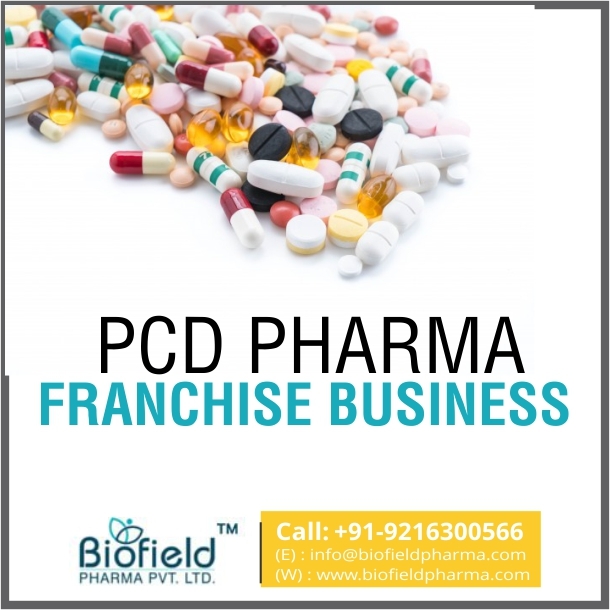 PCD Pharma Franchise in Sikkim – Biofield Pharma, the Top Pharma Franchise Company in India’ offers you a business opportunity in northeast India. Our company provides franchise services in all the major districts of Sikkim like Gangtok, Mangan, Namchi, Geyzing, Kumrek, Rangpo etc. We invite people for PCD pharma franchise in Sikkim. We will be offering 300+ ranges of drugs for franchise business across Sikkim. These include tablets, capsules, injectables, soft gels, syrups, powders, sachets, drops, ointments etc at best rates. Sikkim is the pharma hub of northeast India which is soon to be the next hub in India. Anyone who wants a good business startup can choose to become a part of PCD pharma franchise in Sikkim. Biofield Pharma is the best pharmaceuticals company to bring forth the best quality medicines and equally best marketing services here in the northeast. Our franchise includes specialty divisions like gynecology, dermatology, general, orthopedic, pediatric, diabetic, nutraceuticals, cardiology etc. The medicines are DCGI approved and made in GMP-WHO units that meet all your quality demands. You can connect with our company by simply call us at +91-9216300566, +91-9216300166. To have a hassle-free conversation you can email your queries at info@biofieldpharma.com or leave a text message in our contact inquiry box. We also have live chat services and you can chat with our representative directly about your queries, concerns, our benefits, scopes and much more. Sikkim is one of the northeastern states of India. The place is a pharma hub with pharma companies rooting themselves there. Many MNC pharmaceuticals company have already started their units and branches here like Sun Pharma, STP Pharmaceuticals Pvt. Ltd., Pristine Life Sciences, Zydus Healthcare, Intas Pharmaceuticals, Cipla Ltd etc. It has already attracted a good investment of Rs 2,500 crore. Though the smallest state, it has started to attract more companies due to credibility, ease of sources and least interference by the government. Demand for healthcare services has increased in the recent few decades. The economy is booming as more and bigger fortune companies have shown their interest here. One can expect good business in Sikkim especially if it is medicines. The lack of quality medicines is many parts have made demand higher and people are willing to pay for it. Populace from nearby villages and towns travel far distance to get the best medical treatment. This has made the PCD franchise a good business in Sikkim. All the drugs are approved by DCGI and you will get to own a quality range of medicines. The PCD franchise offers quality medicines from multiple therapeutic markets and drug segments where you can successfully own a business. We grow our distribution network frequently to let our associates grow with time. Our company frequently launches new products list to offer for PCD pharma franchise to vendors across the nation. We bring innovative and high-quality effective drug solutions for you made in self-owned Pharma manufacturing units at cost-effective rates. We have a growing presence across India especially northeast India covering all major cities and towns. Our company has impressive goodwill and thousands of people have put faith in our services making us the best Pharma Company for PCD Franchise. The annual turnover is good and it is our promise to provide you with quality medicines along with good profit margin earnings. The units are certified with GMP-WHO. They are fully furnished with the latest machines, best equipment, and hygienic environment to make the medicines. The drugs are developed under expert guidance with good attention on balanced composition, reduced side effects and more durability. We have an equally impressive assembling cast that includes A-grade materials and ingredients, various processes to check the credibility and purity of medicines/ product. We always make sure that our products are free from spillage, spoilage, and contamination. Promotional Tool Support Is Provided. On-time delivery with over the counter services. You can connect with us to know more about the vacancy near you! We will be looking forward to your response.